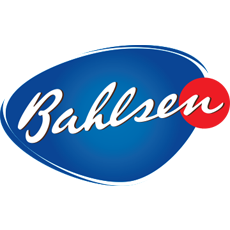 Bahlsen are a family owned biscuit and cake company based in Hanover. They specialise in cakes and biscuits which are enjoyed by employees around the world. 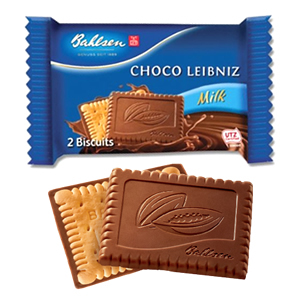 Zepbrook supply everything from the more traditional Liebnitz biscuits to their new PICK UP! bars. 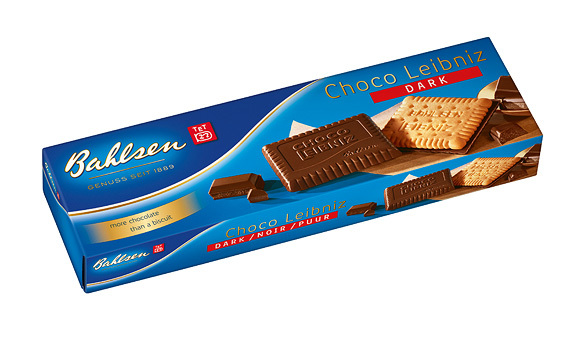 Get your Bahlsen biscuits from Zepbrook tomorrow: order before 5pm if you're in London (or the M25 area). Do you need biscuits that are not currently listed on our website? Contact us - we can source and deliver many other products for a competitive price. Call us now on 020 8752 0110 or enquire online. 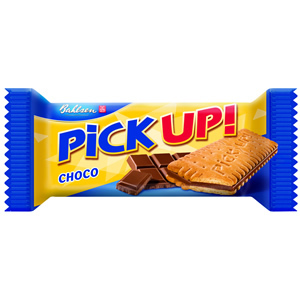 Pick Up! 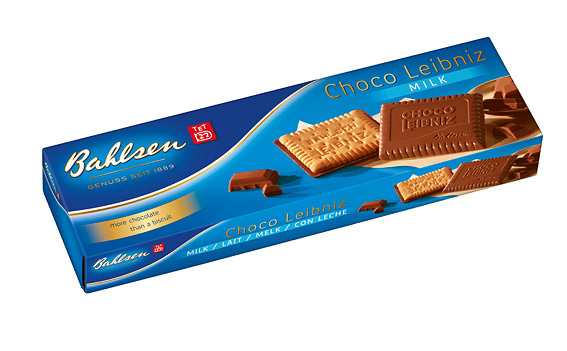 is a delicious thick milk chocolate slab, sandwiched between two crisp biscuits. They are individually wrapped, locking in the freshness and perfect for on the go occasions. 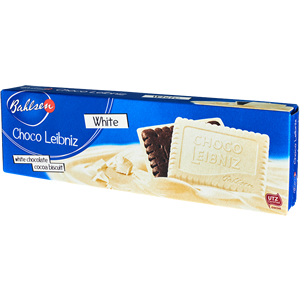 Cocoa-flavoured biscuit set in white chocolate.